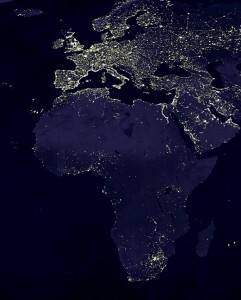 Satellite photographs of Africa by night betray the injustice of the global divide. They do so through the medium of energy poverty, the darkness of a continent blanketing the human frustration in millions of homes. The former UN Secretary-General, Ban Ki-moon, has championed the needs of 1.1 billion people around the world without access to electricity and 3.0 billion without clean cooking facilities. The Sustainable Development Goal of universal access to modern energy services by 2030 must contend with complex overlapping claims for scarce financial resources. The consequences of energy poverty can come as a shock to those accustomed to unlimited and uninterrupted use of modern household appliances. Improvements in health will stall if clinics cannot refrigerate vaccines and medicines. Education cannot flourish in its core purpose if evening study in the home is impractical, nor in its broader sense if computers and televisions remain the stuff of dreams. Even the most basic lighting facilities will extend the potential hours of workshop or retail livelihoods. And if mobile phones are to fulfil the social and economic potential that has so excited development experts, then the capacity for routine recharging is essential. Conversely, the champions of poverty reduction can boast almost universal access to electricity. China has connected 500 million people in rural areas since 1990 whilst Vietnam has increased coverage from 14% to 99% in 25 years. In the absence of modern energy sources, household cooking and heating is dependent on rudimentary stoves that burn solid fuels such as wood, charcoal or agricultural waste. Scientists say that kitchen pollution caused by this combustion is equivalent to a child smoking 3-5 cigarettes per day.